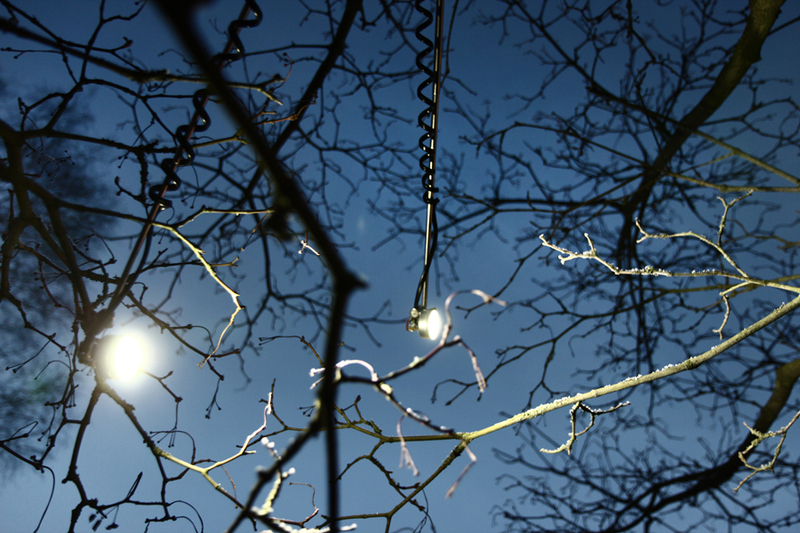 Inspired by the half-parasitic being of the European Mistletoe [Viscum album] the project “ElektroMistel” plays with parasitic and symbiotic strategies. 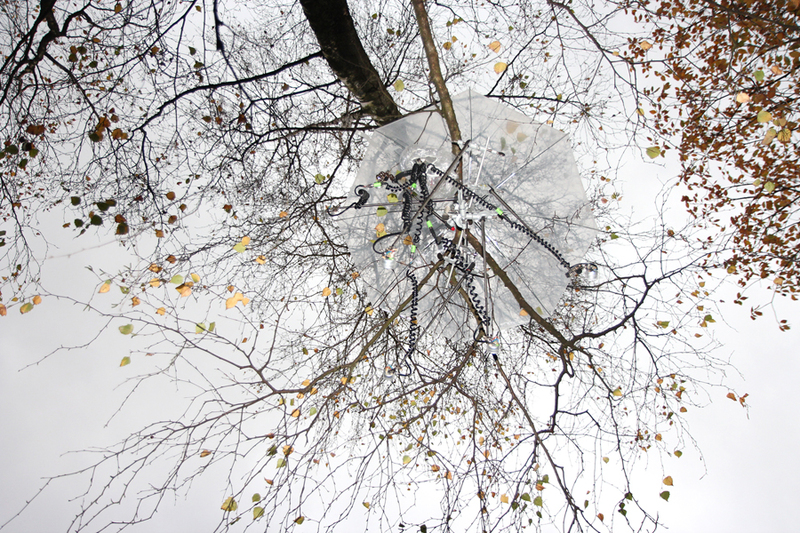 Adaptive art machines are integrated into the organic structures of trees and plants to temporarily transform urban space, allowing a new approach to the city, enlightening the more quiet and slowly disappearing participants of urban sceneries. 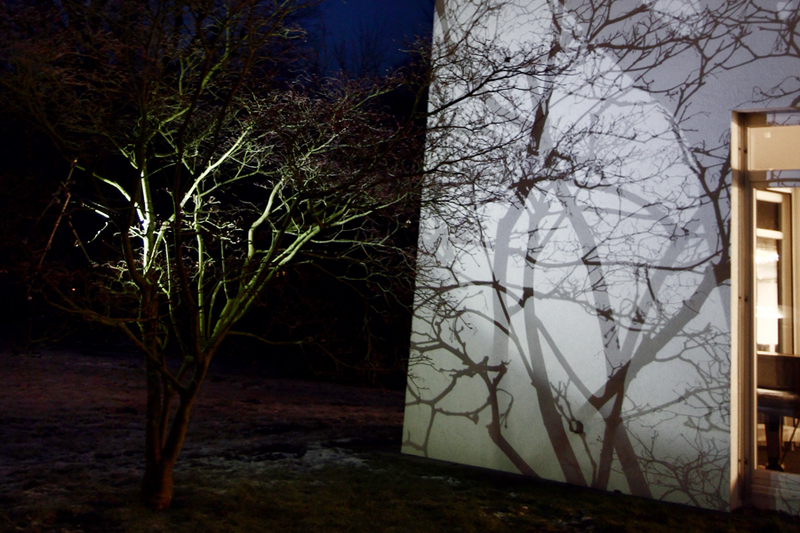 Groups of trees are used as hosts for clusters of audio-sensitive light sculptures. 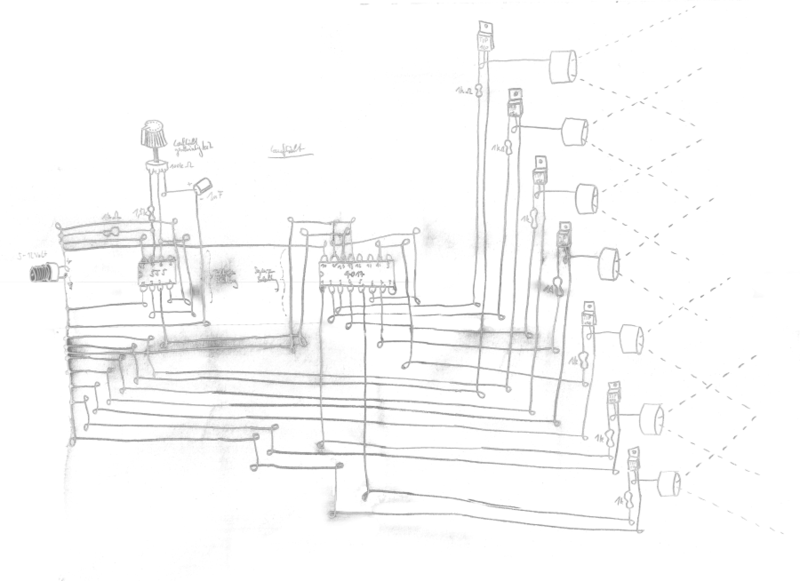 Each object built as battery powered, standalone light-sequencer. 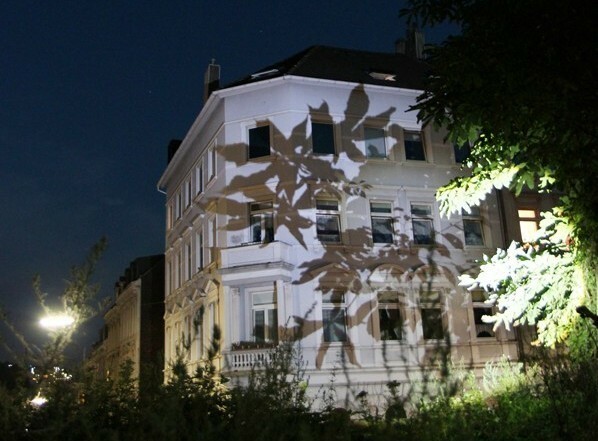 With these light modules the structure of the host plant, its branchings, leaves and blossoms are projected as rhizomatic, multi-layer shadow play onto nearby walls and streets. 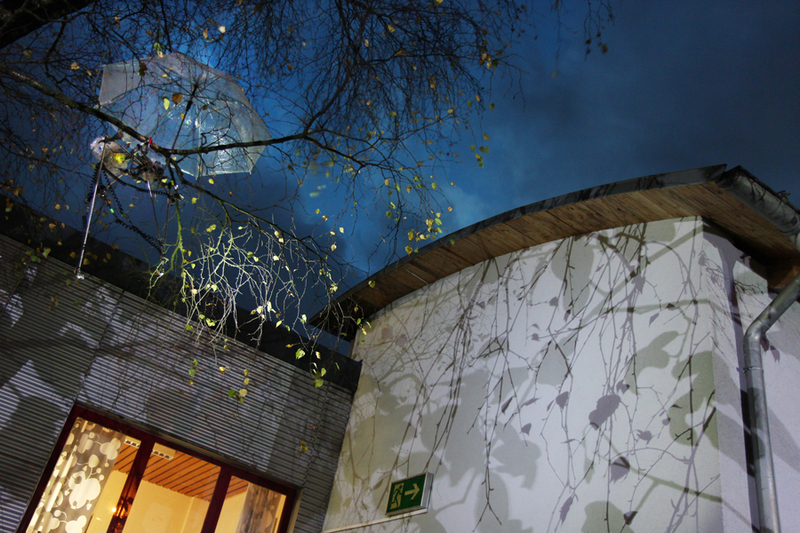 The light sequencing allows film-like animations producing at the same time organically concrete and mechanically abstract associations. The size of one module is appr. Ø 1m. Each module is battery powered, consisting of sound-sensitive control electronics and flexible metalworks with 6-9 single emitter, high-power LED´s attached. A mounted clamp (gripping range 0-10cm) allows the integration into the plant and a transparent umbrella is used as additional rain protection. The total weight of a module is ca. 3kg. 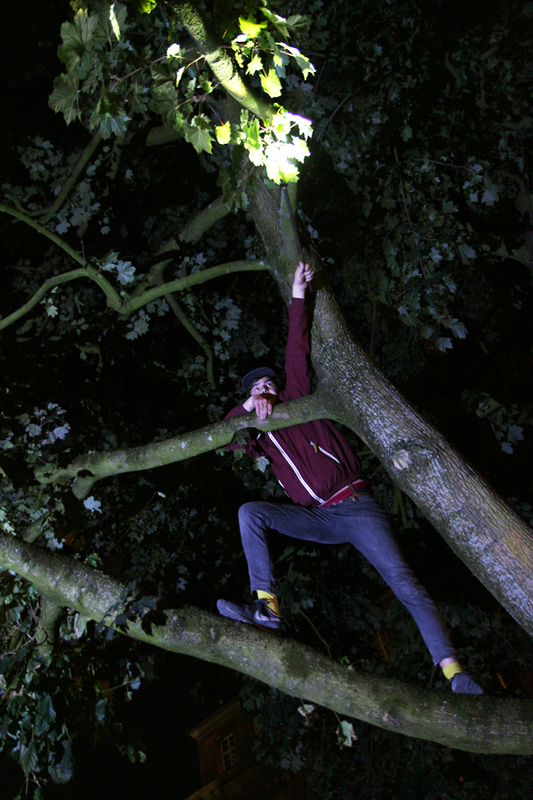 No trees are harmed. 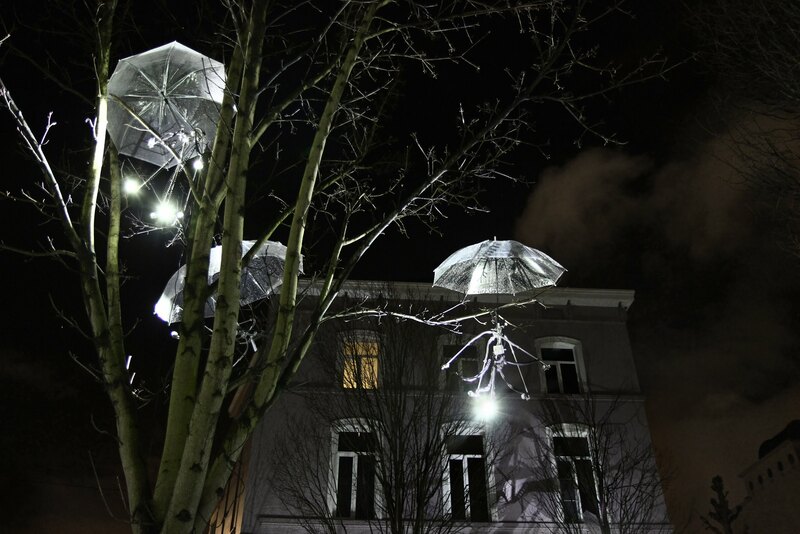 The “ElektroMistel” creates a shift in perception and experience of urban realms and its mainly passive architecture and vegetation by transforming it into an interactive art piece. Every visitor who is able to produce a sound, raise a voice or sing a song is invited to play his environment and participate in the constant creation of the public sphere.